Leiden University has a long history in studying space, which is reflected in the collections held at Leiden University Libraries. An inventory of the university's obervatory gives insight in the tools and supplies needed for discovering space in 1798. The 31st annual Space Studies Program of the International Space University will be held in the Netherlands from 25 June-24 August 2018. The program is hosted by the Netherlands Space Office, in collaboration with three leading Dutch space organizations: the Delft University of Technology, Leiden University and ESA’s European Space Research and Technology Centre in Noordwijk. Many European space missions would not exist without Dutch space technology, and Dutch scientists play a leading role in international space missions, unlocking the secrets of the universe. 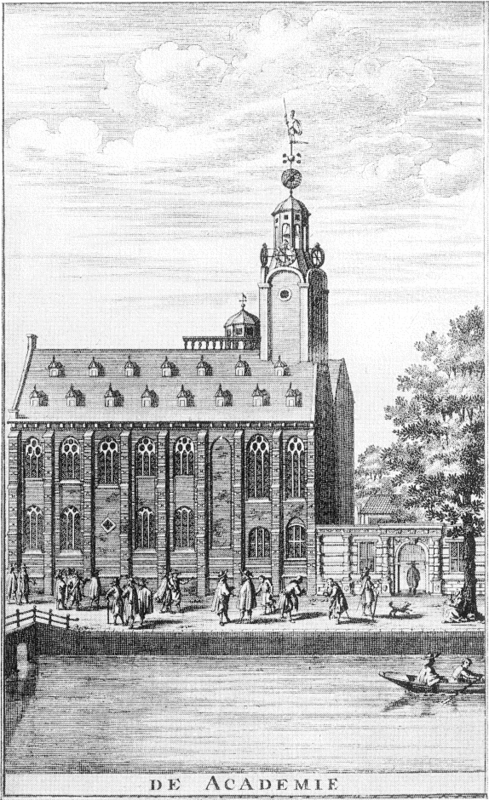 Leiden University has a long history in studying space, which is reflected in the collections held at Leiden University Libraries, specifically in the papers and archives concerning the university’s observatory. This was founded in 1633, making it one of the oldest in the world, and was constructed on top of what is now the university’s academy building. It remained there until 1861 when a new observatory was built on the Witte Singel. Traces of its foundation and subsequent history can be found in the University archives, which contain some of the earliest sources on the history of the observatory, such as inventories going back to 1706. 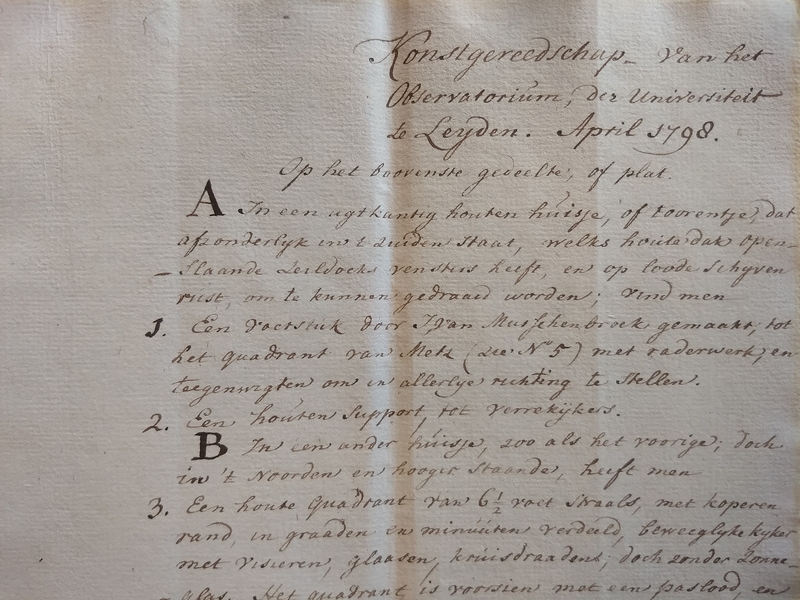 One of these inventories – part of the archives of the curators of Leiden University – dates from 1798 and gives an insight in the tools and supplies needed in 1798 for discovering space, or at least, what instruments were available at that time. In that year the observatory consisted of a platform and two small octagonal wooden towers on top of the academy building, each with a rotating top floor with canvas covered roof which could be opened for observations. Each tower also had a lower floor, and the northernmost tower had a room attached. In these towers and adjacent rooms all the instruments of the observatory were kept, as the inventory of April 1798 describes. The top floor of the southern tower had a base, made by Johannes van Musschenbroek (1660-1707), which was meant to hold a copper quadrant made by Coenraad Metz (1643-1709) in Amsterdam, kept in the room near the northern tower. Also on the top floor of the southern tower was a wooden support to hold binoculars. The top floor of the northern tower was used for the wooden quadrant made for Leiden professor Willebrord Snel van Royen (Snellius) (1580-1626), which was bought by the university after his death. The other item on that floor was a pendulum clock by the French clockmakers Thuret. Most of the other 71 (smaller) items were kept on the lower floors of the two towers and the room adjacent to the northern tower. Listed, among other things, are a Newtonian telescope of George Hearne (fl. 1725-1741) of London, with all its sub-components, tin-plate binoculars in several sizes, wooden supports (some with copper fittings), some steps, chairs and benches, and a desk containing all kinds of smaller instruments in its drawers. 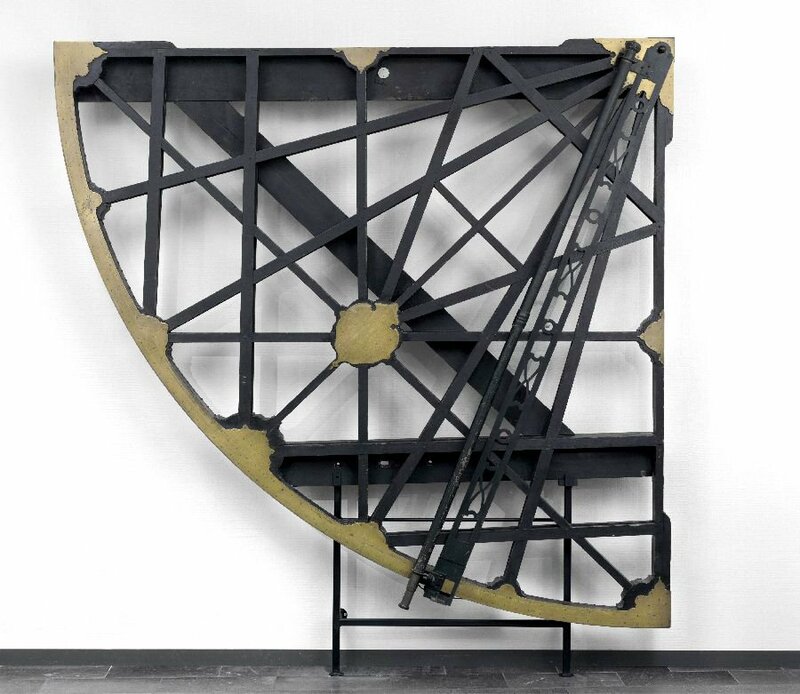 Also, several clocks, copper telescopes (one of which had been bequeathed to Leiden University by Jacobus van de Wall (1700-1782) from Amsterdam), and an array of smaller copper instruments such as quadrants and compasses. All in all, the inventory gives very detailed information on what the observatory consisted of in 1798, on the several rooms and the instruments in it and precisely where and how they were stored. For some of the more important items the provenance is given, making the inventory a valuable source. Although the observatory on top of the academy building does not exist anymore, most of the instruments can now be found in Museum Boerhaave in Leiden.